The goal of information visualization is the unveiling of the underlying structure of large or abstract data sets using visual representations that utilize the powerful processing capabilities of the human visual perceptual system. In this course, students learn how to COMMUNICATE information visually, EXPLORE and ANALYZE data visually, and   ASSESS visual representations in a principled manner. They also develop an understanding of   PRINCIPLES (cognitive and design) underlying visualization, and STANDARD representations and when to use them. Finally, students get exposure to history, research, and debates in the ﬁeld. Students and Instructors All Work Out in Class! Learning in this course is accomplished via Practice, Principles, Peer Learning, and Programming. Software tools learned in Spring 2016 were Highcharts (for creating well-motivated, aesthetically pleasing standard charts), Illustrator (for designing Infographics), Tableau (for Exploratory Data Analysis), and d3 (for creating novel, interactive visualizations). Books used: Few, Stephen: Now You See It, Analytics Press, 2009, and Cairo, Alberto: The Functional Art, New Riders, 2013. Logo by Raymon Sutedjo-The | Icons courtesy thenounproject.com | Design by FreeCSSTemplates.org. 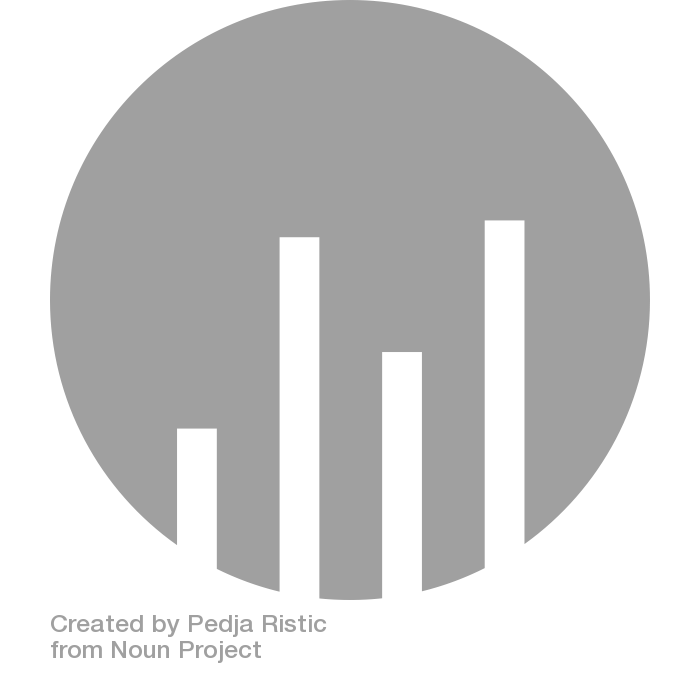 Bar chart in circle by Pedja Ristic from the Noun Project.